Looking at all my blog posts lately, I can see why you would think that I am a die hard carnivore. Believe me, I eat veggies most weeknights. 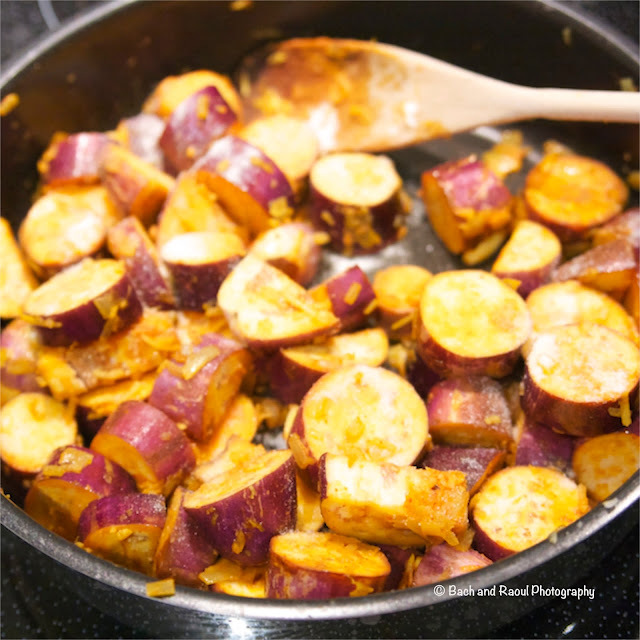 It's just that the Indian staple of Bhaat (rice) + Dal (lentils)+ Bhaji (Veggies) is often less than glamorous, so I end up not blogging about them! 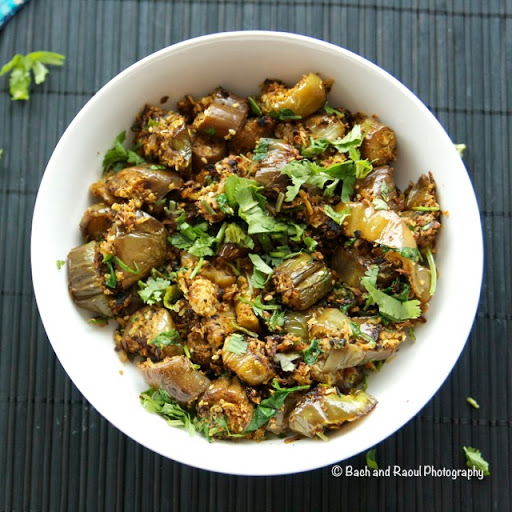 Bharli Vangi is a Maharashtrian recipe. 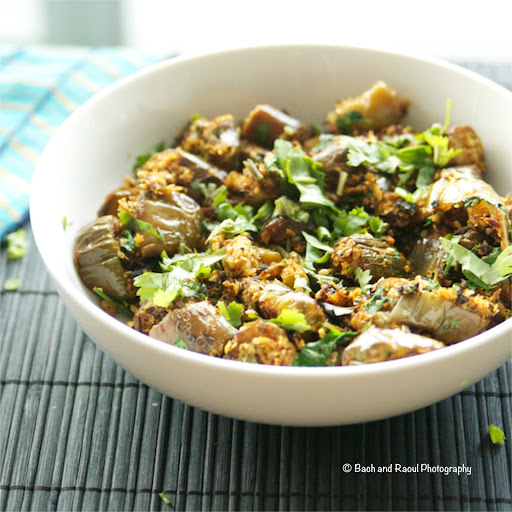 It is made by stuffing eggplants with a nutty spicy filling and cooking it in a delicious sauce. Quick geography lesson - Maharashtra is a state in the western part of India. Bombay, where I grew up, is in Maharashtra. The recipe I am sharing with you today is not quite Bharli Vangi, and hence the title of the post. "Bharli" means stuffed and "Vangi" means "eggplants" in Marathi. 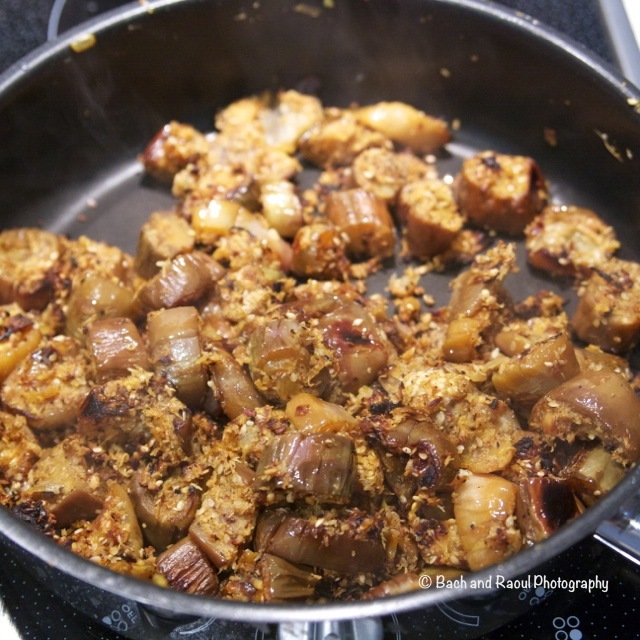 I am using the basic elements of this classic dish but I am not going to actually stuff the eggplants. 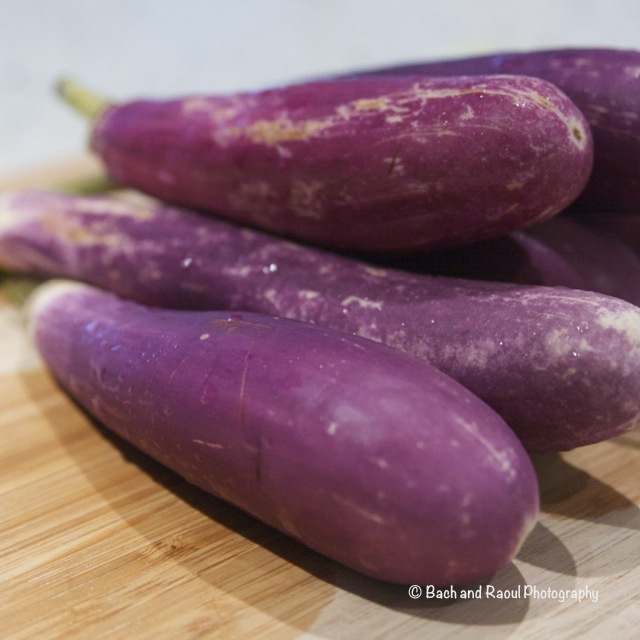 Clean the eggplants and remove their stems. Cut them in 1/4 inch slices and then in halves. 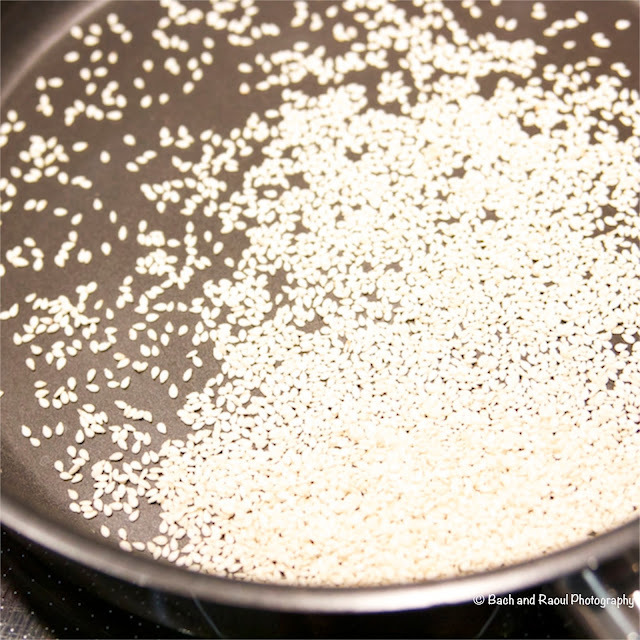 Toast the sesame seeds on a hot pan over medium heat so as to not burn them. Once they change color a little bit, they are good to go. Remove on to a bowl and set aside. 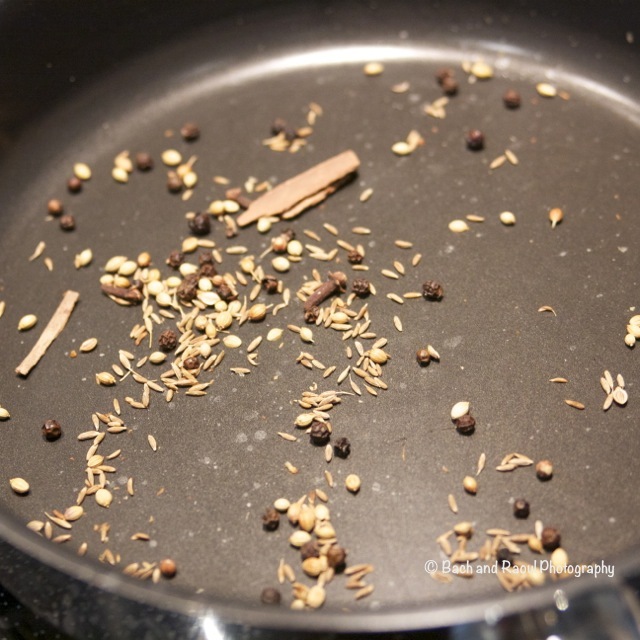 Dry roast the black pepper, coriander seeds, cinnamon, cloves and cumin seeds. 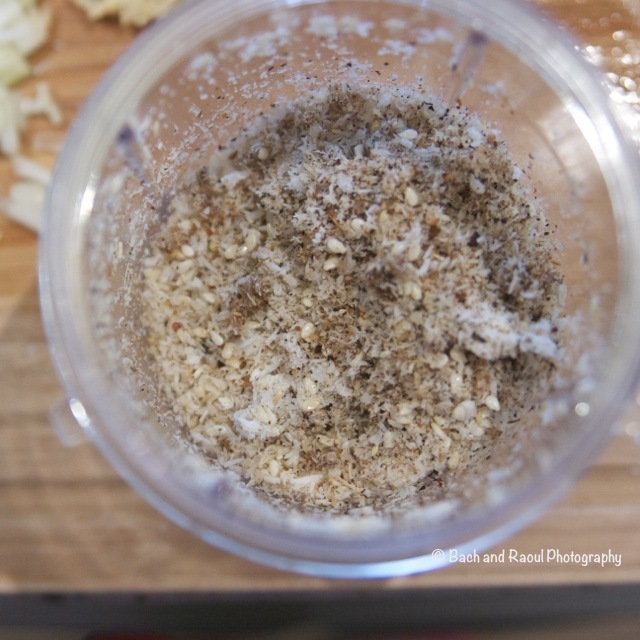 Combine all of the above in a grinder (I have used the magic bullet) and grind them together. 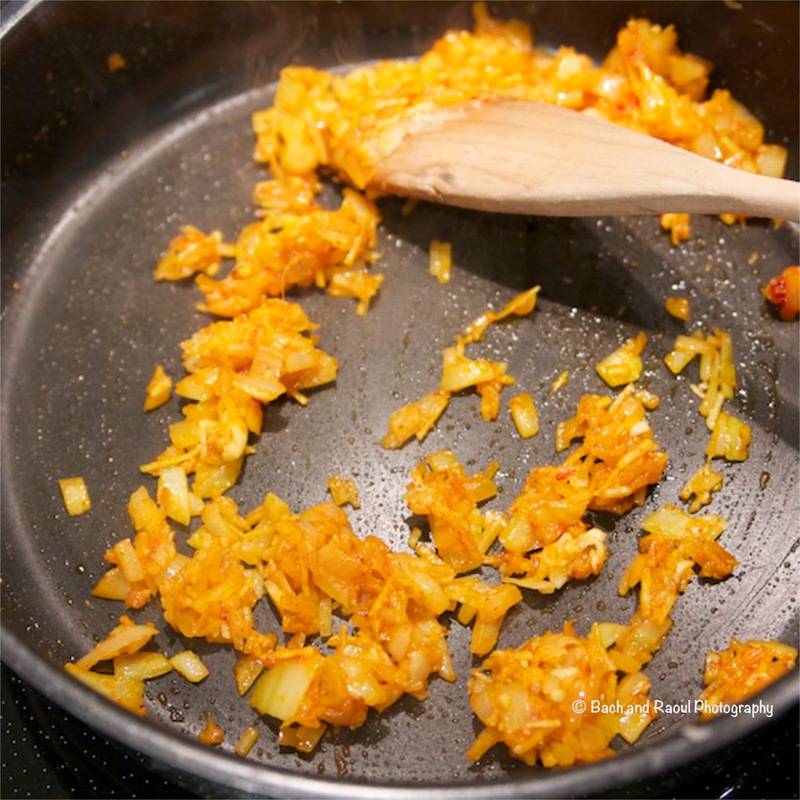 Heat some oil in a pan and fry the diced onions and add the grated ginger. 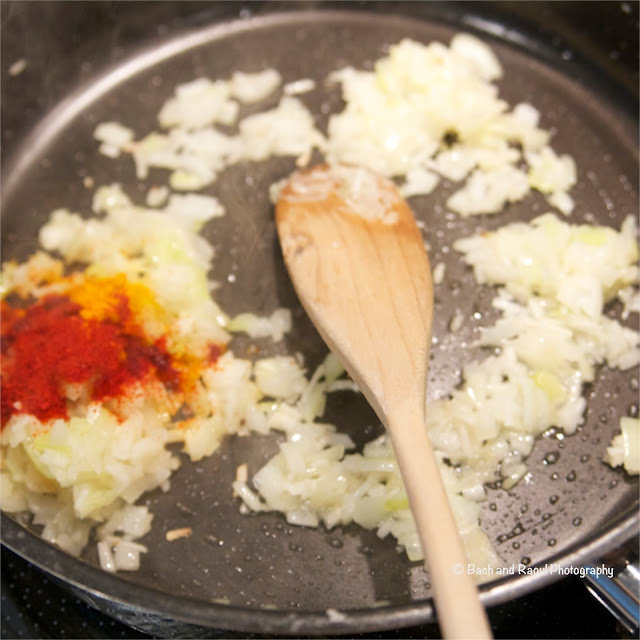 Once the onions are translucent, add a teaspoon of Kashmiri chili powder and a teaspoon of turmeric powder. 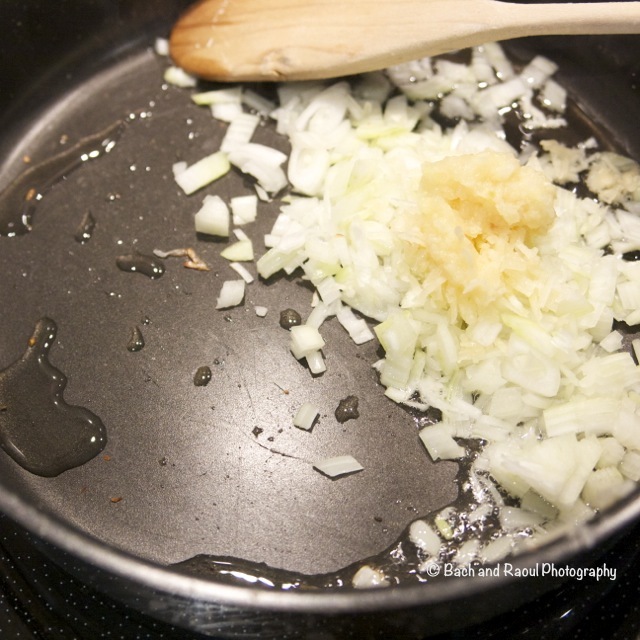 Stir it all together and cook for another couple of minutes. 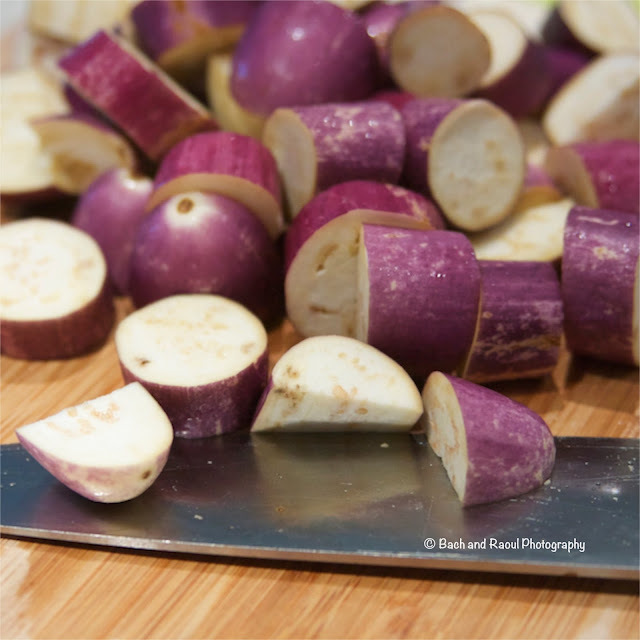 Add the eggplants and stir it all together. 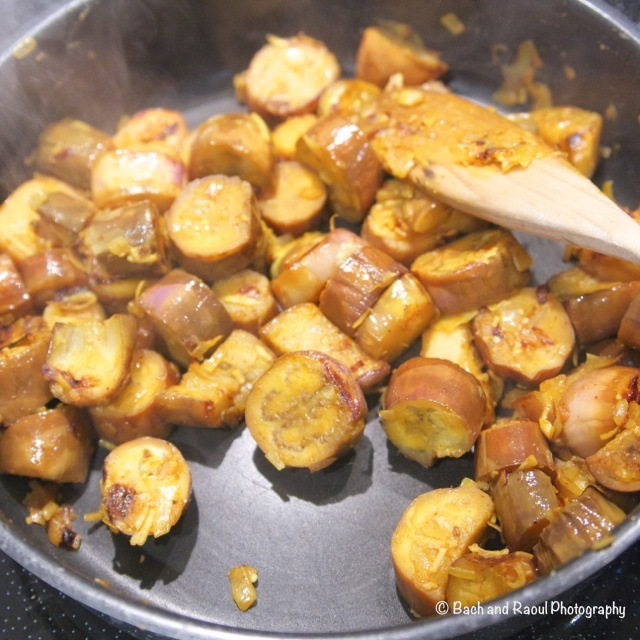 Cook it all together till the eggplants start to soften. 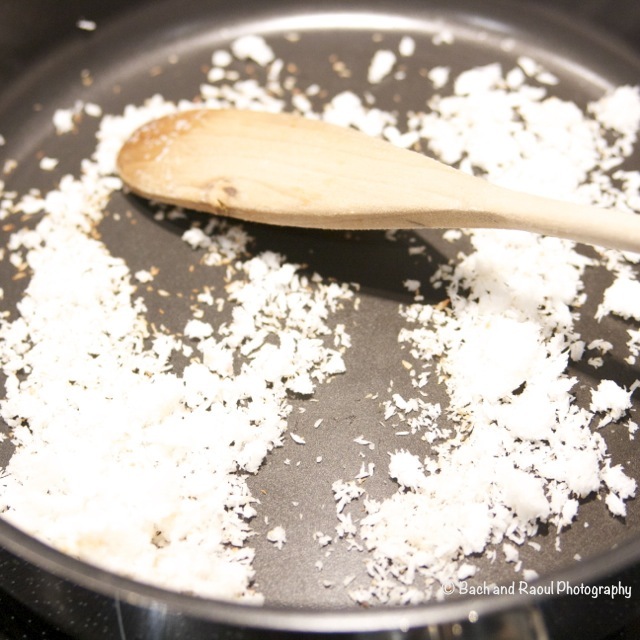 Add a bit of salt to help it along. 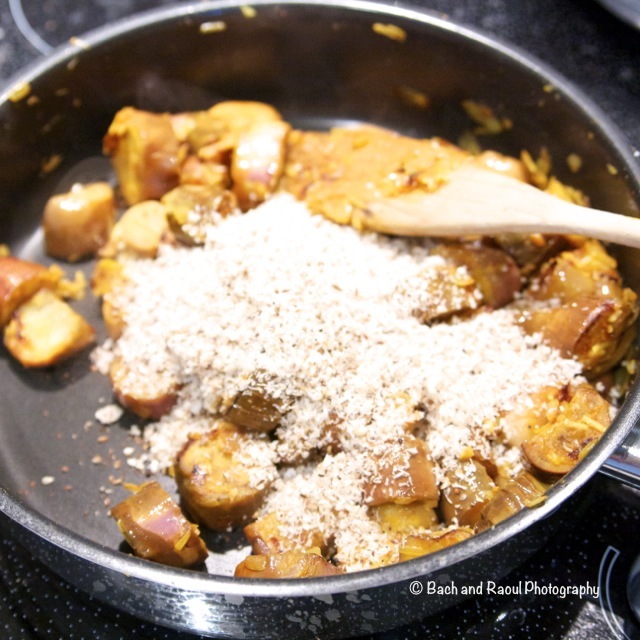 Add the coconut - sesame spice mix that you made into the pan and mix it through. Cover and cook on medium heat for another 5 minutes till the eggplants are completely cooked. 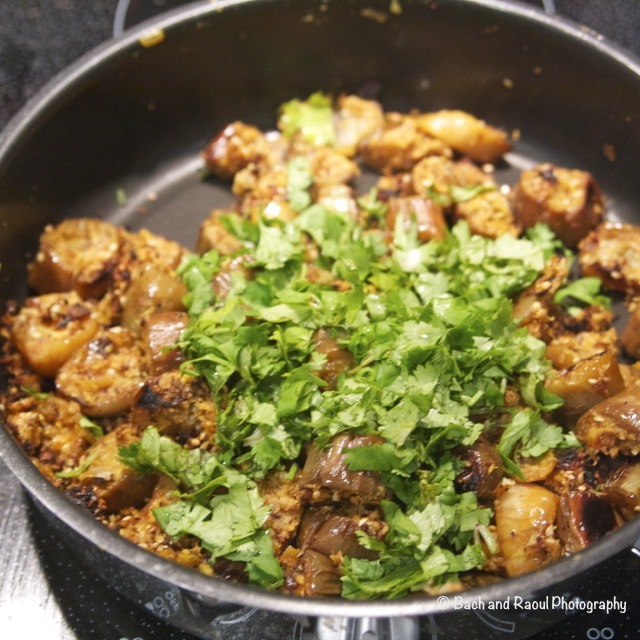 Serve with rice or rotis and dal. This is totally my kinda bhaji! I never heard of this name before, but loving all the flavors you added in here! I have few eggplants in fridge, making it soon :) pinning! This looks so tasty! I love Indian food, but I've never heard of this type of dish before! YUM, this looks so tasty - love all the flavors!! 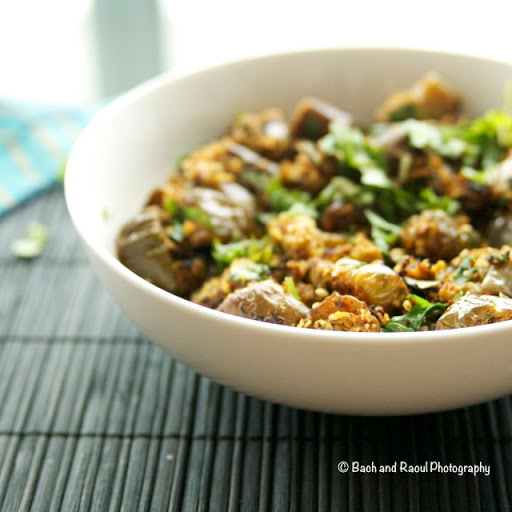 Thanks for stopping by #TryaBiteTuesday - hope to see you back this week, pinning & sharing!